Roy graduated Portsmouth School of Architecture in 2002, and worked in Architectural practices within the West Midlands for 9 years on commercial, healthcare, residential and community projects, before relocating to Cornwall in 2011. 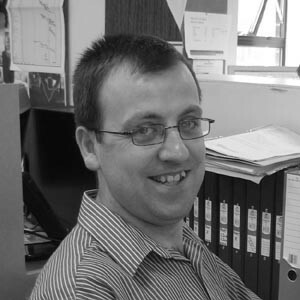 Following a further 6 years working for a local architectural practice, Roy Established Austin Architecture & Design Ltd in 2017 and is currently working towards Full Chartered Membership with the Chartered Institute of Architectural Technologist (CIAT). Away from the office Roy is a proud father of four, and enjoys spending time with the family out and about visiting some off Cornwall's wonderful landmarks and attractions. Rowan left her hometown of Bristol in 2014 embarking on a Ba(Hons) Architecture degree at Falmouth University. Following the completetion of her degree in 2017 Rowan worked on numerous freelance projects before starting at Austin Architecture & Design in 2018. She hopes to continue working in the field of residential design and enjoys working in a small close-knit company. Outside of work you can find Rowan swimming in the sea, going on bike rides and going to wine tasting sessions.